I have been working on the garden, but honestly, there is too much to do. Many plants have been growing and there is plenty of greenery. 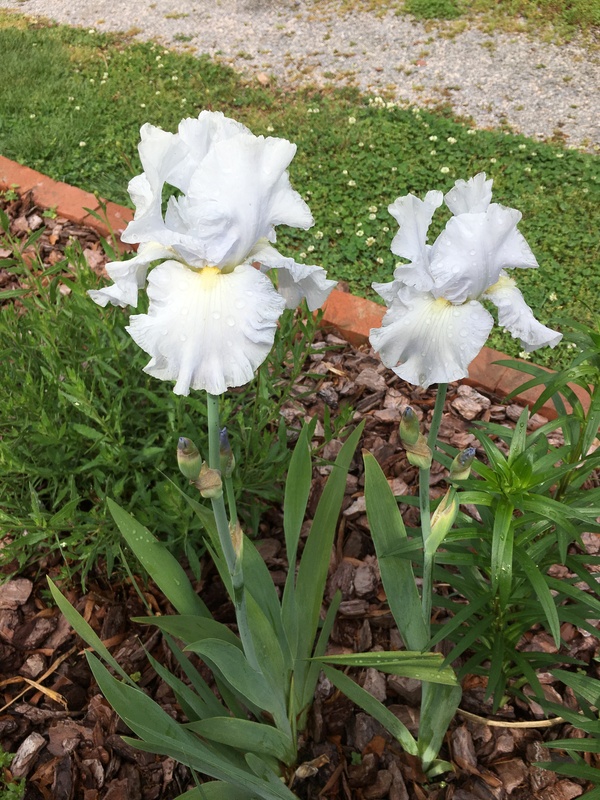 Most of the early Irises have bloomed, which has been enjoyable. 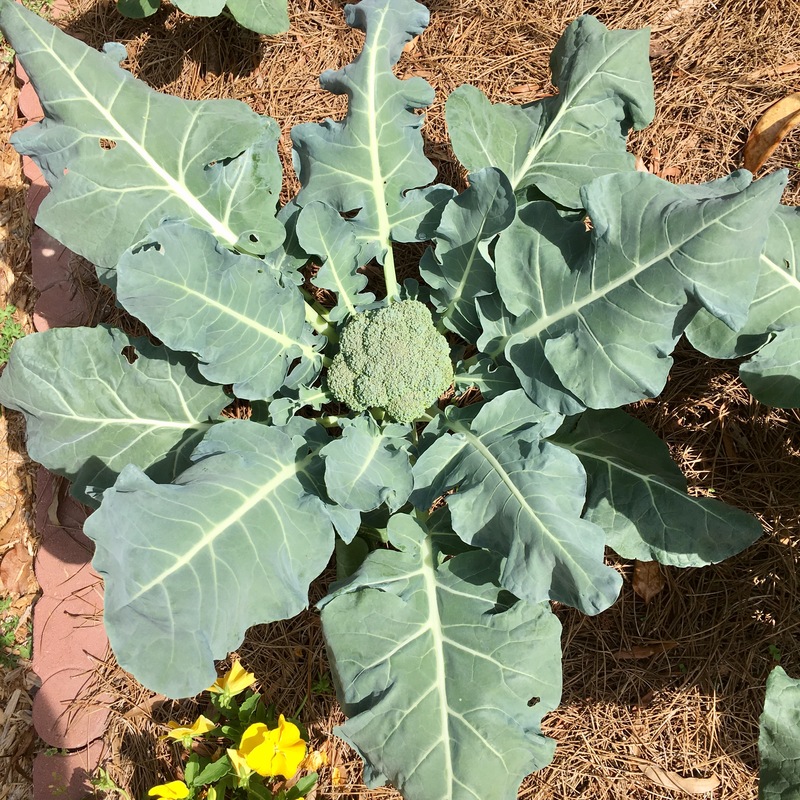 The VegTrug has proven to be wonderful and I have transplanted the broccoli, basil and tomatoes directly into the ground now that they have filled out nicely. Recently I added more reed fencing. This time to the backside of the neighbors fence that runs behind the cottage. 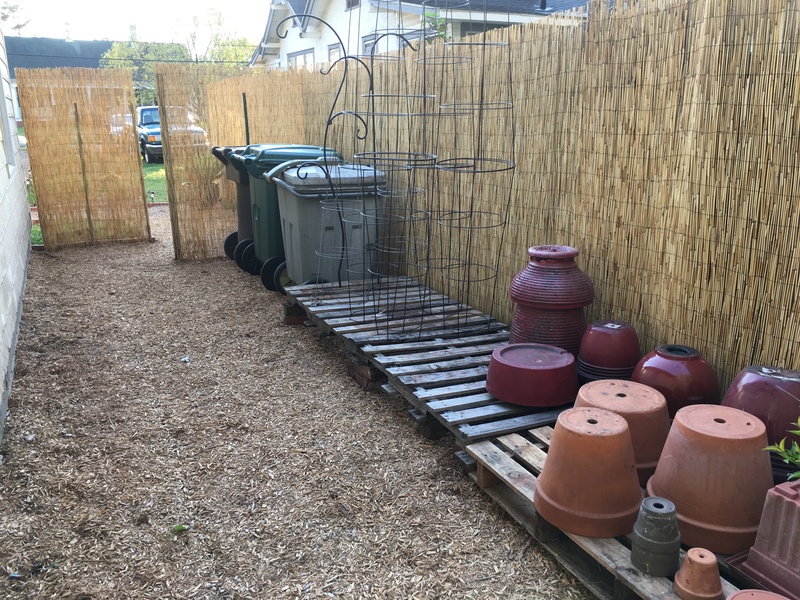 I also created a closed off area behind the cottage to hide the bins and extra containers and pots. I think it turned out nicely. A new utility area behind the cottage. We also extended a bed near the cottage and added plants such as Ruellia that I brought back from the last trip to Florida. 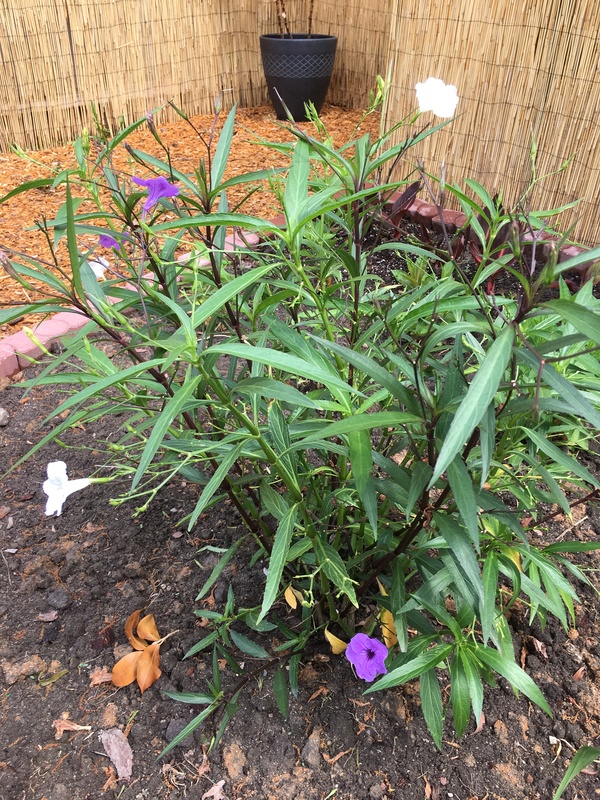 It’s nice because Ruellia here in eastern North Carolina is only just coming up so I have a nice clump for the tour. As well, I added some phlox that came from our other neighbors yard that had spread to our side of the fence. I had also broke up a clump of Canna lilies from the kitchen garden and added this to the bed as well. I believe by summer there should be a nice cluster of flowers of varying heights. It was time to remove the ornamental kale and pansy’s from the large pot in the front yard. 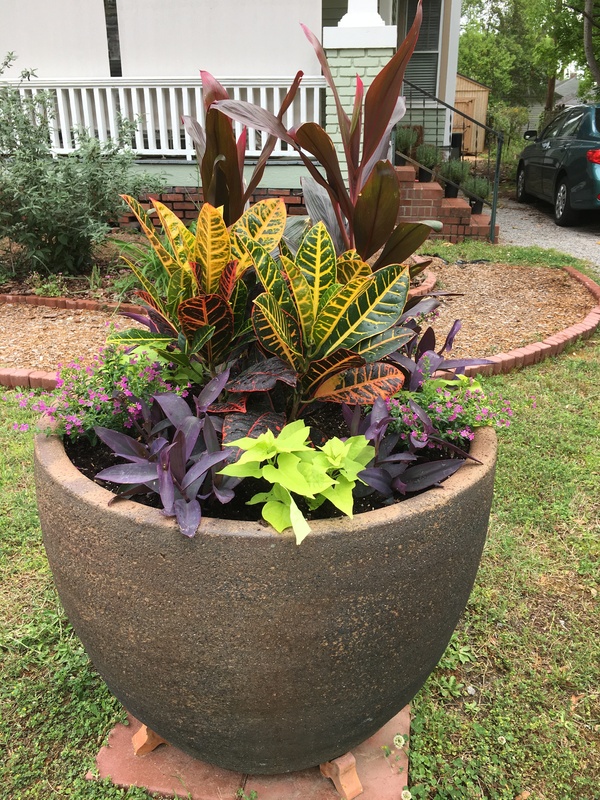 For a showy effect I planted Cordyline, Croton, Cuphea hyssopifolia, Ipomoea batatas and Setcreasea Purpurea. 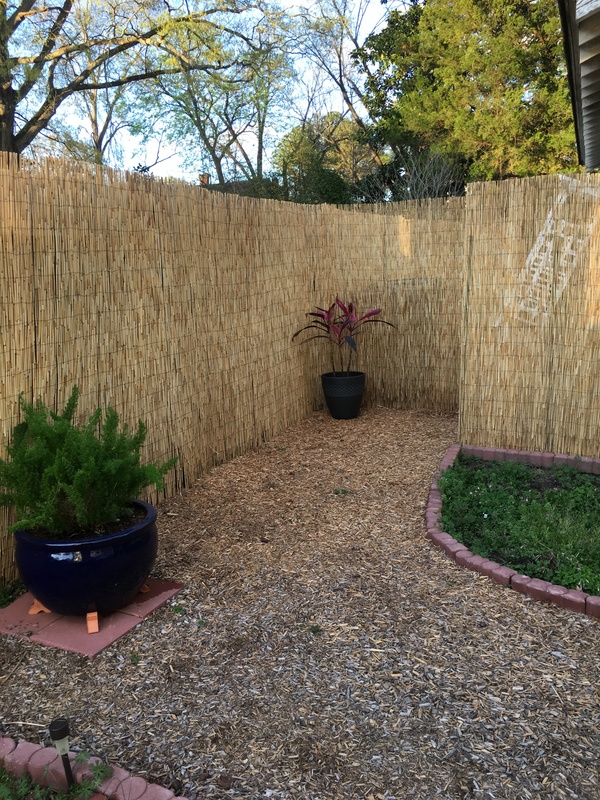 I believe all these plants will fill out nicely with the height of the Cordyline and Croton to the tiny pink flowers of the Mexican Heather and trailing lime-green Sweet potato vine and the deep purple foliage and pink flowers of the trailing Purple heart. 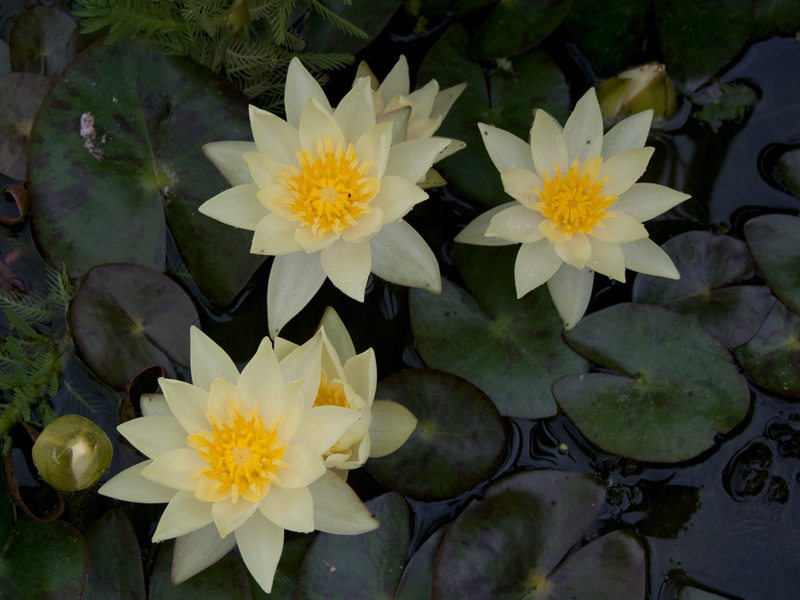 My supervisor at work gave me three dwarf water lilies called “Nymphaea Helvola.” Currently, they are in a container that is too small and they are beginning to reach the top of the water. 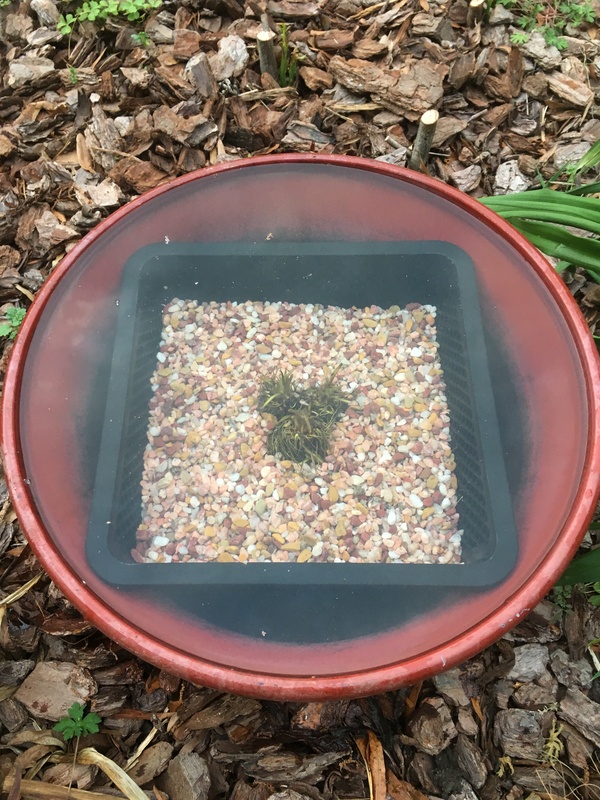 My roommate and I recently found a blue glazed terracotta pot that will be used for the water lilies, but the drainage hole on the bottom needed to be sealed up. I did this with a wine cork and silicone and now we wait for this to dry. I am looking forward to the added element to the garden. Eventually they should look like this picture. Rain had moved in and stayed for three days straight. The paths and beds have turned into ponds and streams. Sigh. Some major projects such as painting the cottage and putting up the arbor and picket fence has not happened. I am not so sure either one will be done in time for the garden tour. 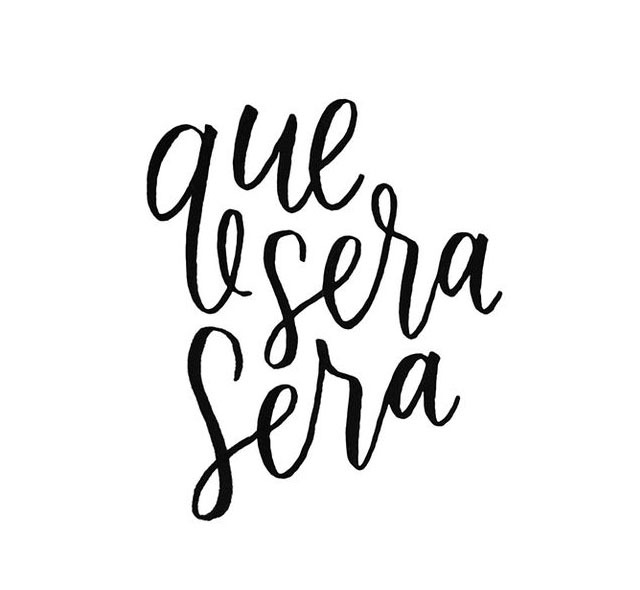 I am trying to maintain composure and find my Zen, but this isn’t always easy for someone who thinks too much on random things like, “Oh my gods, I’m going to be 60 in ten years!” or “Ugh, I have 15 years until I retire!” You know, things like that. 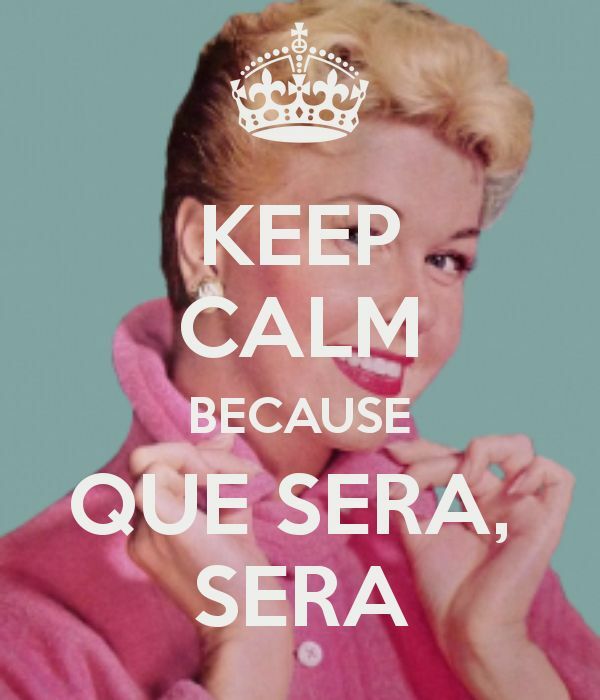 Anyhoo… At this point I simply have to channel Doris Day. 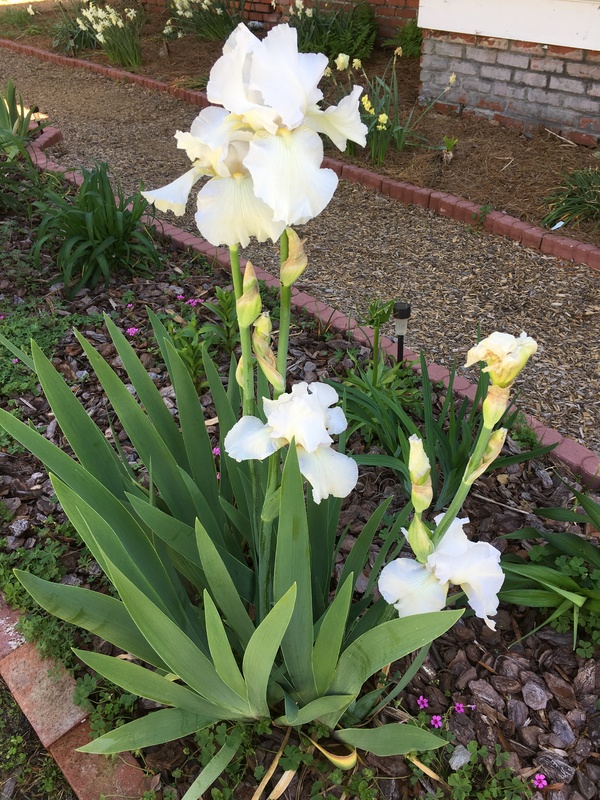 ← Cottage Preparations and Spring has Sprung (again)!